Decision-makers envision a significant role for remotely operable laboratories in advancing research in structural engineering, as seen from the tremendous support for the network for earthquake engineering simulation (NEES) framework. 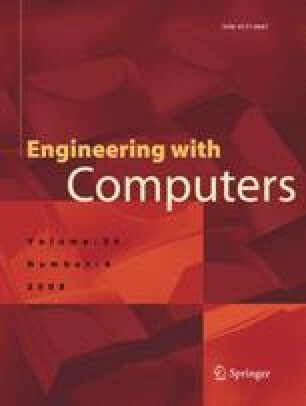 This paper proposes a computational framework that uses LabVIEW and web technologies to enable observation and control of laboratory experiments via the internet. The framework, which is illustrated for a shaketable experiment, consists of two key hardware components: (1) a local network that has an NI-PXI with hardware for measurement acquisition and shaketable control along with a Windows-based PC that acquires images from a high-speed camera for video, and (2) a proxy server that controls access to the local network. The software for shaketable control and data/video acquisition are developed in the form of virtual instruments (VI) using LabVIEW development system. The proxy server employs a user-based authentication protocol to provide security to the experiment. The user can run perl-based CGI scripts on the proxy server for scheduling to control or observe the experiment in a future timeslot as well as gain access to control or observe the experiment during that timeslot. The proxy server implements single-controller multiple-observer architecture so that many users can simultaneously observe and download measurements as a single controller decides the waveform input into the shaketable. A provision is also created for users to simultaneously view the real-time video of the experiment. Two different methods to communicate the video are studied. It is concluded that a JPEG compression of the images acquired from the camera offers the best performance over a wide range of networks. The framework is accessible by a remote user with a computer that has access to a high-speed internet connection and has the LabVIEW runtime engine that is available at no cost to the user. Care is taken to ensure that the implementation of the LabVIEW applications and the perl scripts have little dependency for ease of portability to other experiments. This material is based upon the work supported by National Science Foundation under grant no. DUE-0310845 and by the Department of Civil Engineering as well as the College of Engineering at the North Carolina State University.